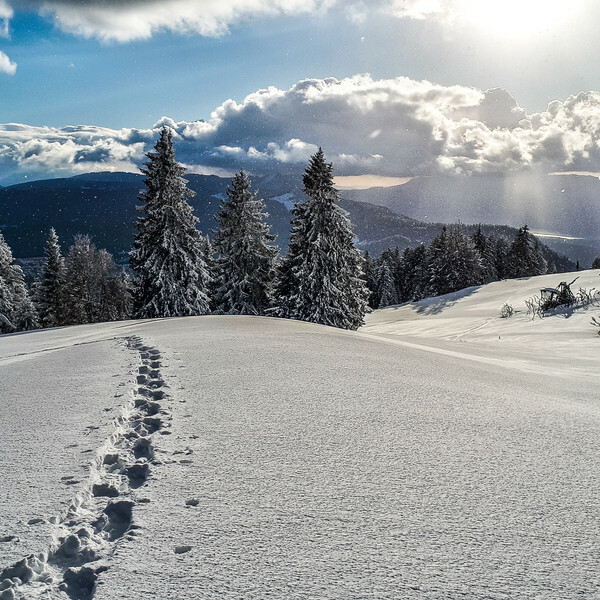 Let's go together for a half-day snowshoe outing on the Semnoz mountain pastures. You will discover this fun activity while enjoying an exceptional panorama. Departure guaranteed from 5 participants. The start of the hike will be from the summit of Semnoz (next to the "courant d'ère", 30 minutes drive from Annecy). 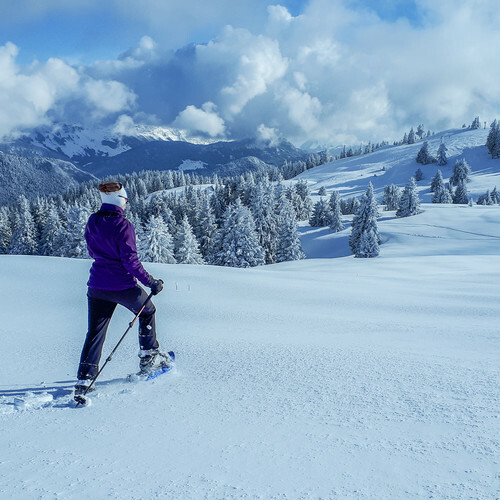 We then go for a snowshoe hike off the trails between the forest and the Semnoz mountain pastures. Carpooling is possible from Annecy for people who are not transported (limit of 4 places). Walking times are calculated from an average speed defined in the hiking difficulty levels sheet. These are indicative times that do not include breaks. The itinerary may be slightly modified for security reasons (weather, level of participants) or for organisational reasons (availability of accommodation). Supervision by a qualified hiking guide. The loan of snowshoes and poles. Group of 8 people maximum per frame for an optimal safety and conviviality. These rates are per participant and are only valid for a group of at least 5 people. Transportation until the start of the hike, picnic, drinks, any lifts. Anything that is not listed in the "price includes" section. These are estimated times, we adapt to the participants and weather conditions. The meeting place will be confirmed the day before by the hiking guide in charge of the hike. 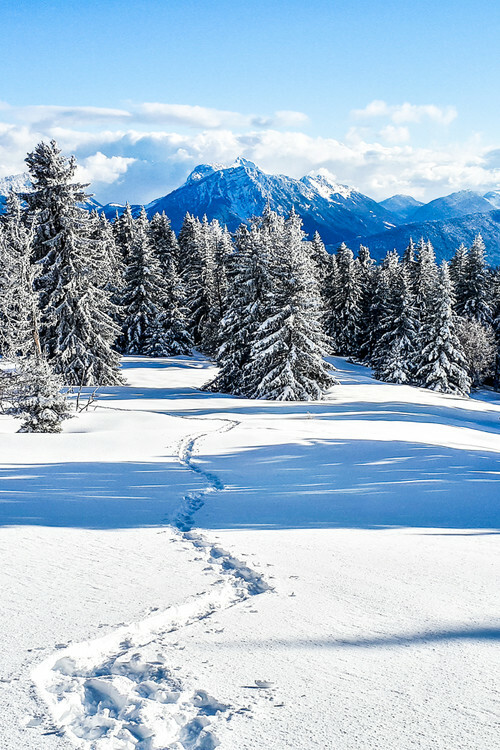 Snowshoeing is a physical activity that requires a minimum of training. Details of the difficulty levels of each outing are detailed in the technical sheet "Snowshoe hiking difficulty level" downloadable on this page. Accessible to children from 8 years old. For safety reasons, people who do not have the appropriate equipment on the day of the outing may be refused by the hiking guide.